We are not Surveyors and we do not pretend to be Architects. We are not Property Developers, we don’t pretend to be Builders and we are definitely not Designers but we are Fire Safety Consultants. not only assess what is necessary with regards to the proposed use and occupancy, we will also balance what is actually required by legislation and what is only recommended by Authorities and, or Individuals. Individual, Private Dwellings to changes in the Internal layouts of existing Flats, through changes in use of Buildings from Industrial to Residential and from Commercial to Educational. We have carried out Consultations in regards to reducing unnecessary and onerous Fire Safety provisions in Purpose Built Blocks of Flats to increasing allowable occupancies in Premises ranging from Mission Halls and Meeting Rooms and from Pubs to Clubs. 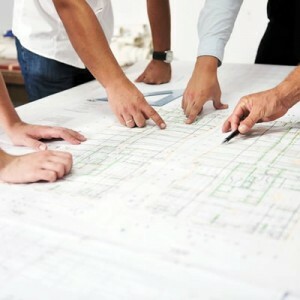 We offer our Consultancy Services ranging from full Fire Safety Surveys and support documentation including Pre-Project design and planning, suitability Studies on Premises, prior to purchase and, or handover, Building Control submission, support documentation and Means of Escape Strategies, including Fire Safety Drawings, where required. We also offer our popular “Poppins” where we literally, pop in and give on-site, simple, unbiased verbal advice and set you onto the right path, or guide you through to a satisfactory conclusion. The only aspect of Fire Safety Consultation that we find confusing is why anyone would not consult an expert and invest the cost of perhaps just an hour of our time against a return which could save a fortune, especially in regards to over provisions.